Toxic Interface Units for Soil Strength / Permeability - Gilson Co. 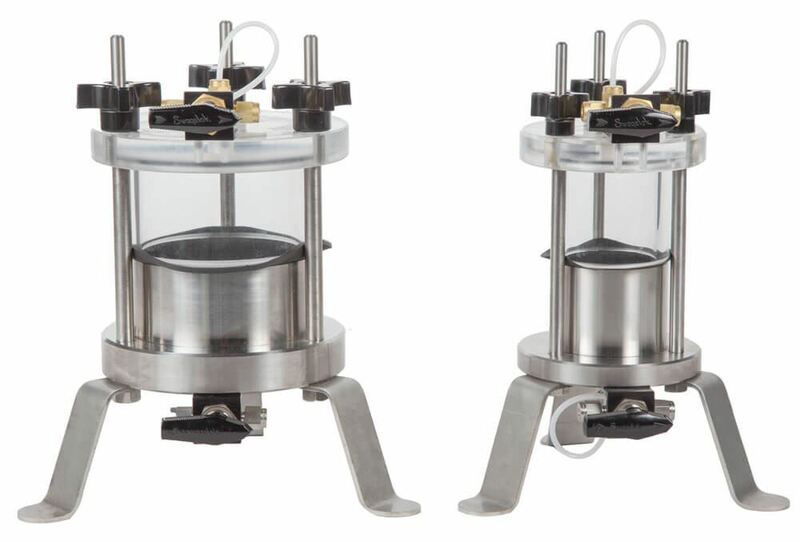 Toxic Interface Units allow safe flexible-wall permeability testing by providing a barrier against toxic or corrosive chemicals in contaminated samples. Two chambers are required between the Control Panel and Permeability Test Cell to prevent chemicals from entering the panel and venting to the atmosphere. 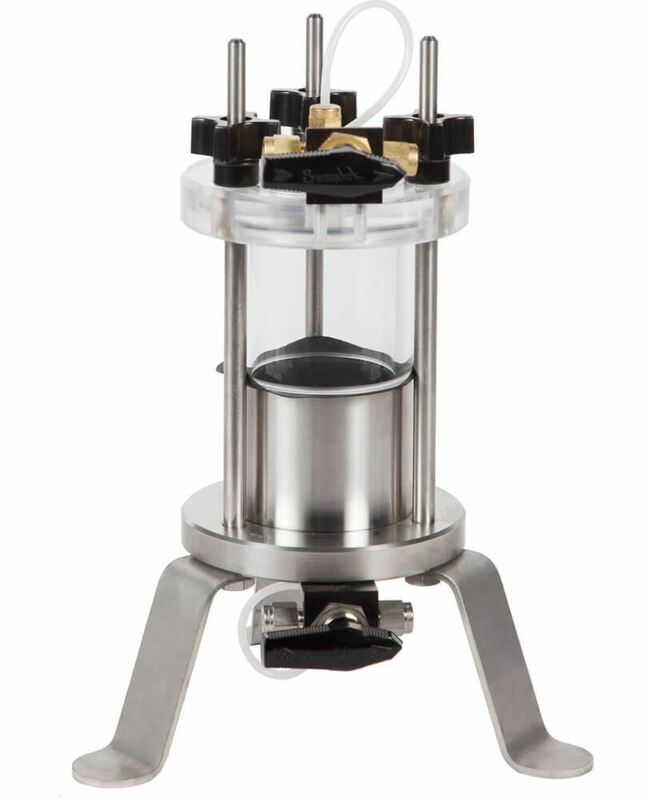 Contaminants are isolated to the sample and the lower half of each interface chamber. 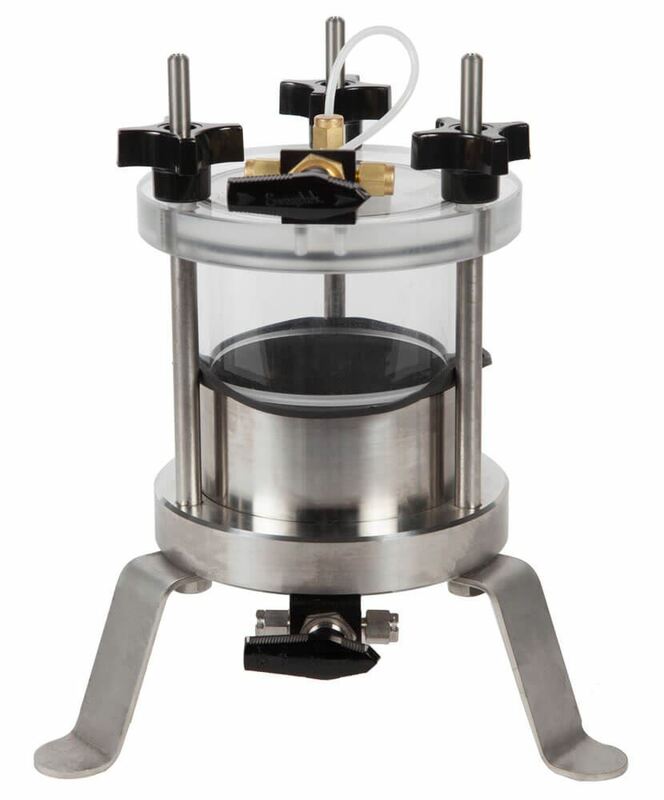 The lower section of the chamber consists of a base, stainless steel tube, and zero-volume change ball valve. 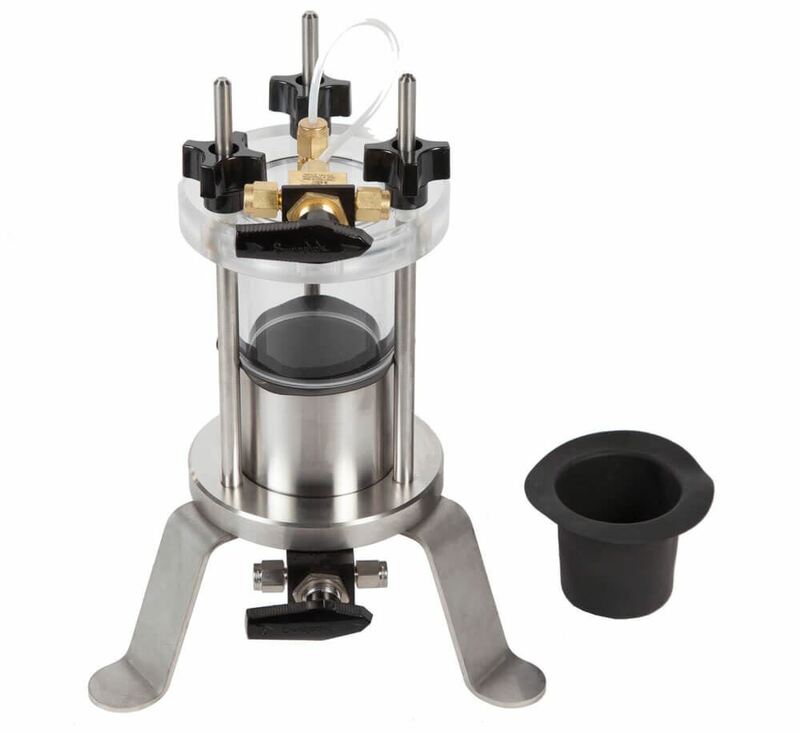 The tube and base are sealed with a Viton O-Ring, and a Viton diaphragm separates chemicals from the water within the test cell. 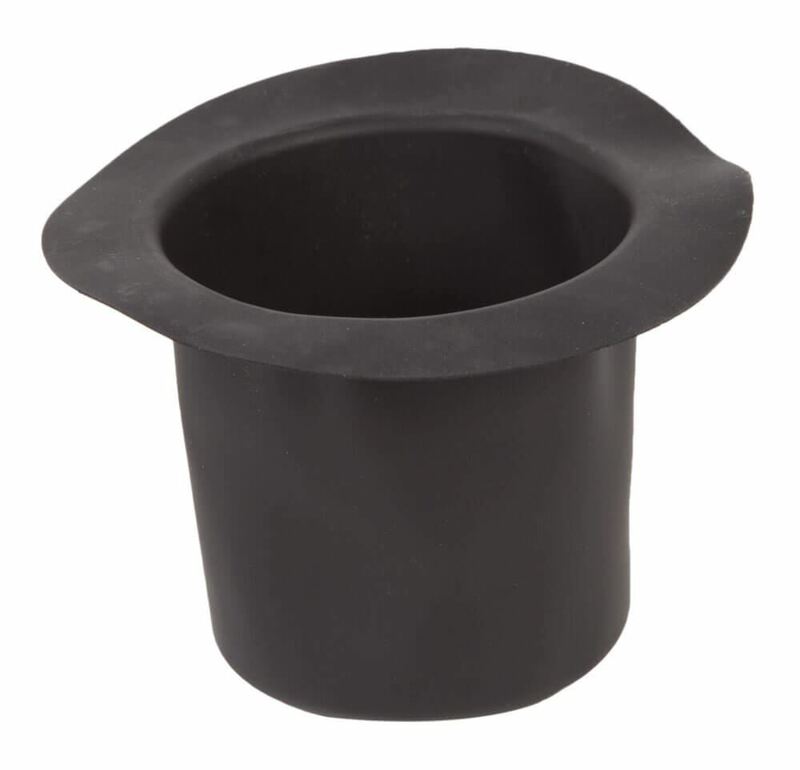 The position of the diaphragm can be viewed through the clear polycarbonate top section. HM-914 Toxic Interface Unit has a 180cc capacity. HM-916 model has a 500cc capacity.